Unfortunately, Windows 10 sometimes gets stuck at scanning and repairing drive C: or D: screen and will not complete after going to 0%, 10%, 11%, 28%…100%. This guide offers few methods to get rid of this annoying process. Remember – If any files are lost while performing CHKDSK, it is possible to recover files after check disk using a reliable data recovery software. Recovering data from Windows 10 System Restore? After applying the above System Restore method, you may have a trouble-free access to your Windows computer now. 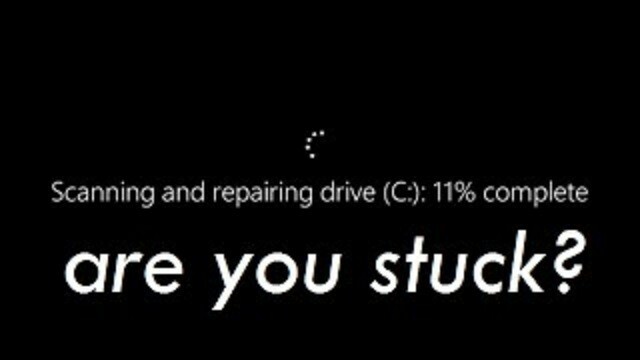 However, as you may worry about the computer data, apps and files while fixing the stuck on “scanning and repairing drive” screen, some of the data will be lost if you performed a system restore. Also, there is a high chance to lose data due to drive corruption, bad sectors, etc. If the hard drive data loss can’t be avoided, just let it go. Later, you should immediately download Remo Data Recovery Wizard to perform hard drive data recovery. Be careful with the last step. You’d better preserve the recovered data to another drive in case of data overwriting.